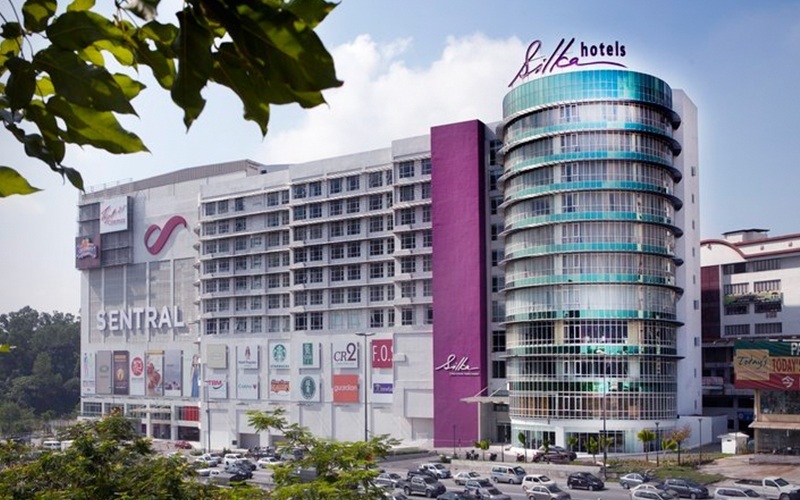 Stitched into the side of the Cheras Sentral Shopping Mall, a retail haven that fringes the nucleus of the Kuala Lumpur metropolis, this Silka Hotels progeny punctuates a grey concrete backdrop with daubs of its signature orchid purple hues. Trudging past the curlicued signs and into modishly decorated rooms dominated by mirrored surfaces and crop-circle light fixtures, freshly spent guests bearing hard-won purchases are granted shelter from the urban jungle’s endless hum. Should tropical climes prove too hot to handle, forays for food come to a satisfying halt at the Curvz Café, its sleek glass contours hosting an all-day menu, paired with far-reaching views of city life and greener pastures.